While no one paid me to say nice things about this movie, I did have the opportunity to check it out earlier this week at no cost to me. All promotional pictures are used with permission from Disney to write about this film. I’ve told you about my Maleficent obsession right? How I was this close to “meeting” the Disney World character version of her at the Halloween party, but we got in line too late? Or how I hunted down Maleficent pins when we were at Disney like nobody’s business? Well since the day they announced the Maleficent movie, I’ve been obsessing. Especially because it was scheduled to come out TODAY. My birthday. It’s like someone at Disney knew this movie was made for me. And because today is quite a busy day, I was lucky enough to go see it on Wednesday night for a pre-screening where they handed out Maleficent horns and offered photo ops. Because Disney is awesome and somehow I managed to make it on their list of movie-goers. 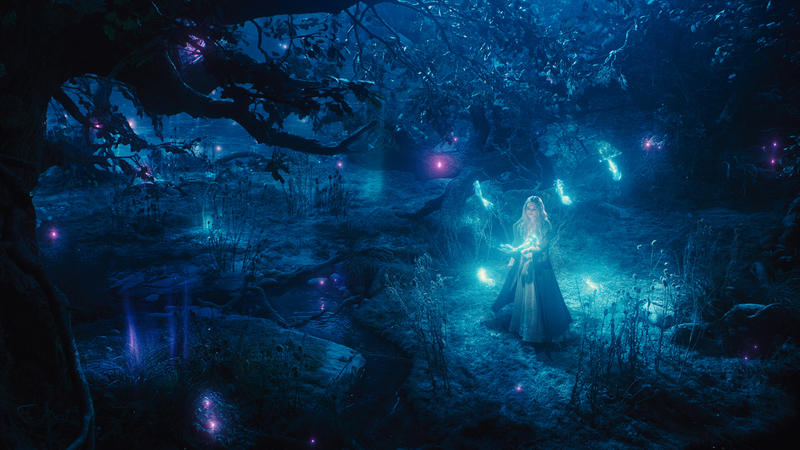 Brian and I both really enjoyed Maleficent for what it was, a lighthearted, yet dark, re-telling of a classic tale. I read some of the critic’s reviews last night, which I thought were kind of laughable. No, this is not a “grown-up movie,” but grown-ups who like fantasy and adventure stories will love it. I haven’t been an Angelina fan for the majority of her career (I’ll admit, I totally dug Tomb Raider), but she rocked this character like no one else could. She was frightening, vulnerable, and lovable all at the same time. 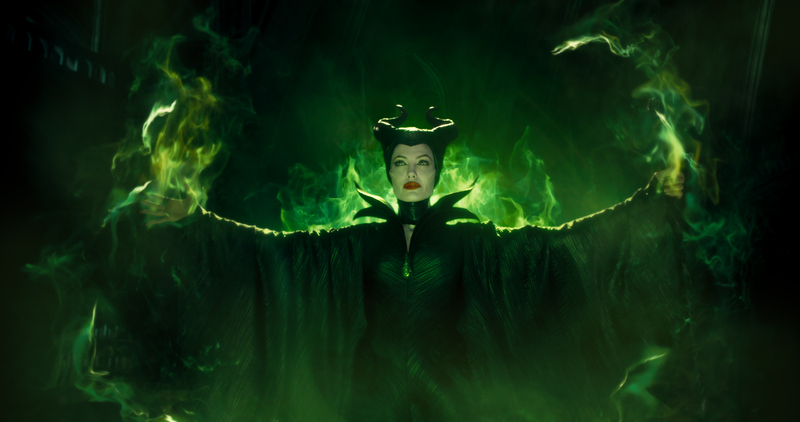 Even as a less-evil Maleficent, the character is still my favorite villain. Brad and Angelina’s tiny human, Vivienne Jolie Pitt, was absolutely adorable in her first role. I read a really lovely article in People the other day about how they didn’t want to get the kids into acting, but it was really hard to find a toddler who wasn’t terrified of Maleficent (note: if you have tiny humans, and cartoon Maleficent scares them…this may not be the movie for them. I’d go for date night, if I were you) so they brought in Vivi, who did a lovely job. 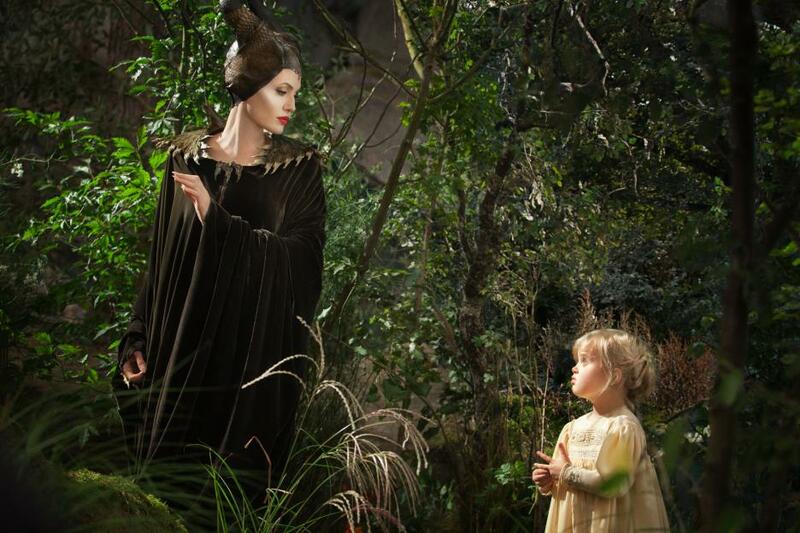 Elle Fanning’s Aurora complemented Jolie well with her bright smile and curious nature. I especially enjoyed her interaction with the creatures of the Moor. I was less a fan of the three fairies and their purpose in this version than anything else. Their visibility in the movie was brief and seemed more comical and nonsensical than purposeful. 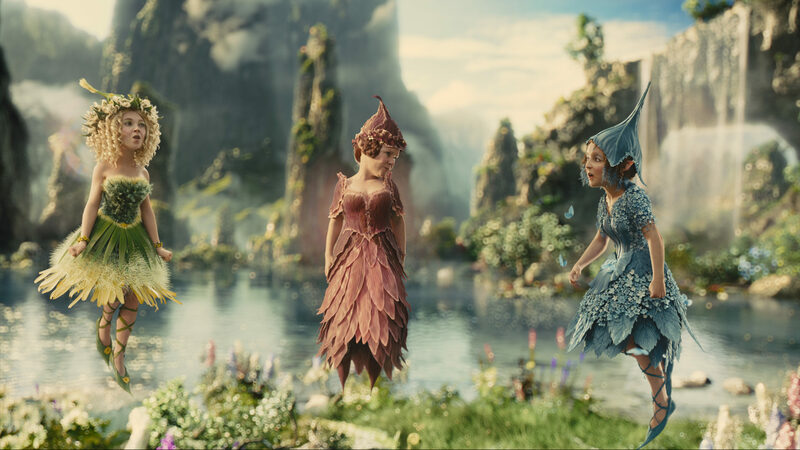 The head fairy was played by Imelda Staunton (Delores Umbridge to Harry Potter fans), which was seemingly fitting…if they hadn’t completely overhauled the fairies’ involvement in the tale. They even changed the names, which baffled me. The plot also changes from the original telling, and definitely changes from the Disney animation, but the idea truly resonates with the direction that Disney seems to be heading and I enjoyed that a lot. Brian noted that it was a definite female-centric movie and he couldn’t find a male character to identify with, but that he still really liked it. The scenery and sets were stunning. I wanted to be there, and thanks to the 3D glasses, it felt like I almost was. The critics will tell you that the 3D isn’t great, but I thought it was pretty decent. I hate the swoop-de-doo that most 3D movies start with, and this movie kept it on a level ground. I liked that a lot. So if you’re into Disney, villains, action, adventure, princesses and fairies? Go see this movie. There really is something for everyone (over the age of 8-ish). With dragons, epic battles led by a FIERCE Maleficent, magic and adventure, you’re going to love it. 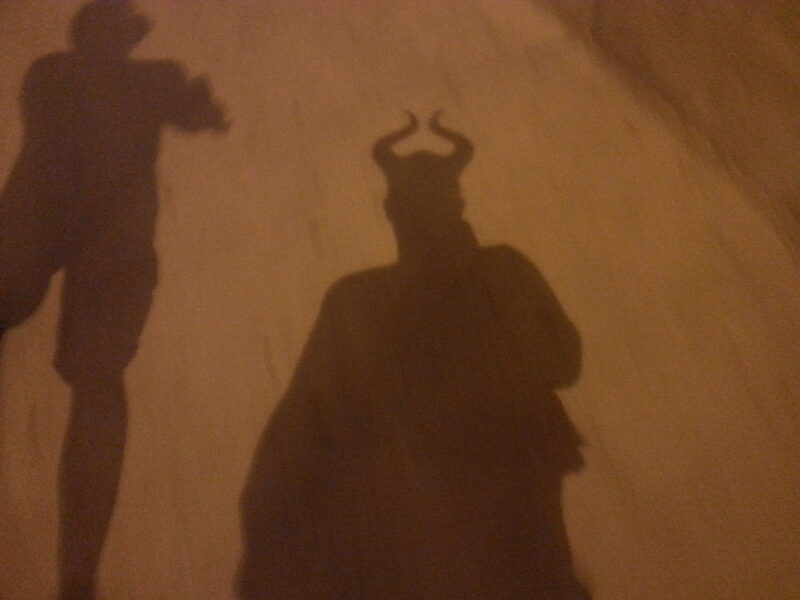 Of course I wore the horns on the 20 minute walk back to the train…and the 40 minute train ride. 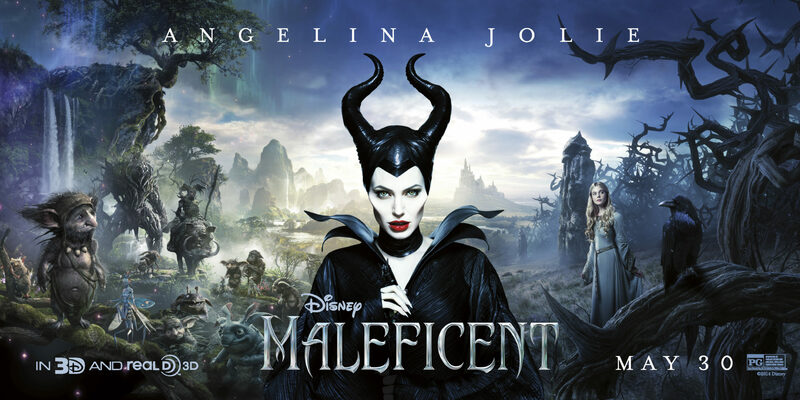 Are you planning to go see Maleficent? What other movies are coming out this summer that make your heart go pitter-patter?